Hildersham is a small village 8 miles to the south-east of Cambridge. It is situated just off the A1307 between Linton and Great Abington on a tributary of the River Cam known locally as the River Granta. The parish boundary extends from the Roman Road, known in medieval times as Wool Street, north of the village, to the border with Essex to the south. The place-name 'Hildersham' is first attested in the Domesday Book of 1086, where it appears as Hildricesham. The name means 'Hildric's village or settlement'. At the time of Domesday there were 20 residents in the parish. 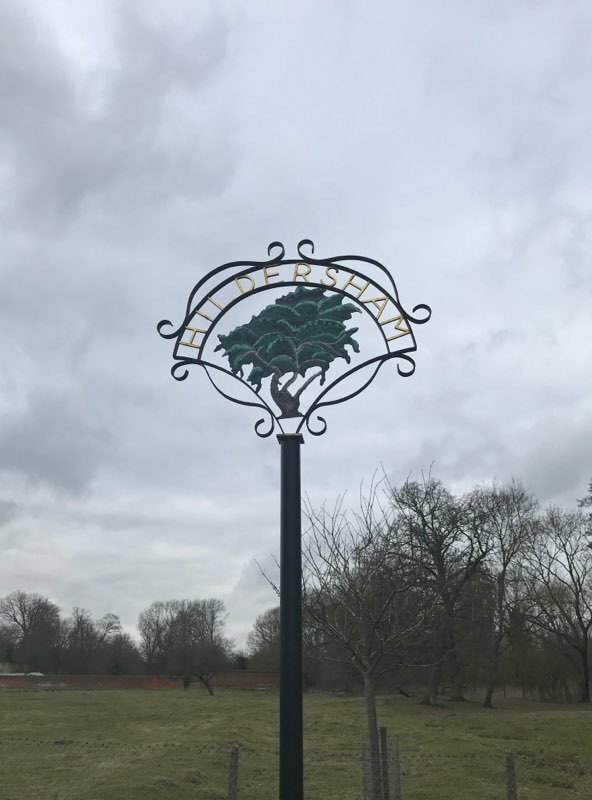 One of England's greatest chroniclers, Matthew Paris, is believed to have been born in Hildersham, where the Paris family were at one time lords of the manor. The Anglican divine Conyers Middleton died in the village in 1750. The cache is within sight of the village sign but not on it so please do not go climbing all over it!